We plan and organize your bus tour to the Black Forest. 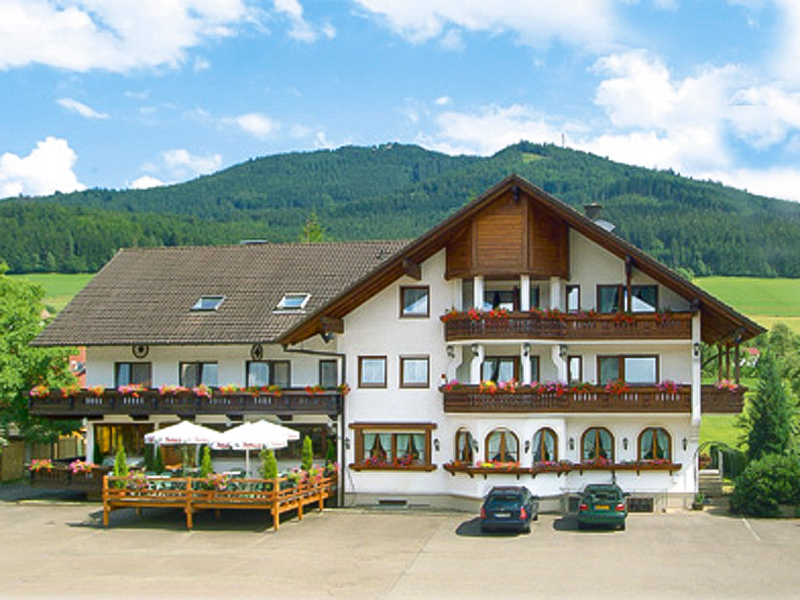 Enjoy your stay at a typical Black Forest guesthouse and experience Black Forest hospitality at its best! Our new built guesthouse in the Black Forest style is situated in the heart of the Black Forest only a few minutes away from Freiburg in Breisgau. The house in the typical Black Forest style is located at the foot of the known Hörnleberg, where you can go on beautiful hiking tours with a glorious view over the entire Elztal. The world-famous sights and leisure activities like the Vogtsbauernhöfe, Rust, Bergwelt Steinwasen, the Feldberg etc. are only a few minutes by car away from our house. Additional enjoy the hospitality of the Black Forest with regional specialties which are mostly out of our own farming. Cherry schnapps and bacon of the Black Forest with a self-made bread must not be lacking in the menu card of the guesthouse Bären. Our new built house is central situated in the heart of the Black Forest surrounded of forests and meadows not far from glorious excursion destinations and sights. After a long day in the nature you can enjoy the hospitality of the Black Forest at our rustical-styled parlour, where you get spoiled with regional, home-made food and a glass of wine. Our parlour in the Black Forest style is suited for small touring companies up to ten persons. Please ask for our groups´ offers.